$0.99 (regularly $2.99) 3/14/2017 - 3/17/2017! Charles McIntyre has finally found something he loves more than power—surrender. He’s given his heart to a good, godly woman. Now he’s trying to figure out how someone with a past like his can surrender it all to God. 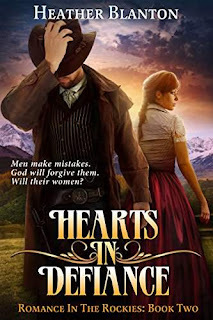 But, Defiance—the violent, hardscrabble mining town McIntyre built on blood—none of it his own—won’t let him go without a fight. When it threatens the one thing this reformed bad man cares about more than his own life, will he rely on the darkness in his soul to win…or the power of love?